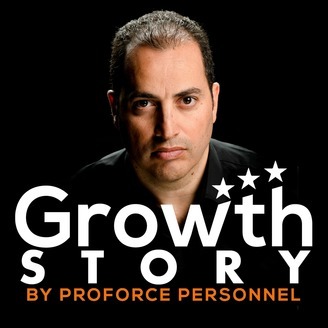 GrowthStory is brought to you by Proforce Personnel. This podcast is a way to give back to the community and help people achieve the growth they want. By meeting and interviewing entrepreneurs and inspiring people; By sharing stories of crushing defeats and amazing triumphs; We allow the audience to learn and grow with us and we truly hope to motivate you to reach for the impossible. Hosted by passionate entrepreneur David Inzlicht, episodes will be released every second Thursdays. 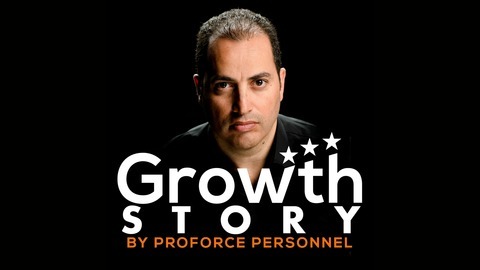 Welcome to Growth Story! Owner of Bak’d by Mona, a very successful gourmet cookies business, Mona Segal is a true force of nature. She’s unstoppable: on top of running her own business, Mona volunteers at school and works part-time as a marketing specialist. Her growth story is truly inspiring and touching. Having always loved to bake and cook, Mona decided to take the plunge and turn her passion into a business after being faced with a life-threatening health issue. That challenge made her realized she wanted to change her life, work less, volunteer more, do more of what she likes, and most importantly, give back.